If you are looking for diamonds, one of the best places to find great deals is on the Internet. Reasons are many, online stores do not have overhead expenses which keeps your prices down, they are not limited by store size in regard to how much selection that they have and you can very easily compare prices and styles to find just what you want. 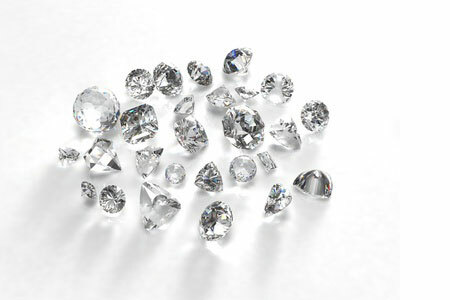 Whether you are looking for just one piece or a whole bunch, we will give you a buying guideline for diamonds to help you. Let’s take a good look at buying diamond online so that you are sure to get what you want at a great price. When you buy a diamond or any type of gem or jewel online, you may wonder how you will know that you are getting a good deal or every a great deal. This guide will show you how to buy diamond online so that you know that you are buying safely, buying smart and getting the best deal possible. We will talk about exactly what to do, where to go, what to look for and ultimately how to be very happy with your diamond purchase. 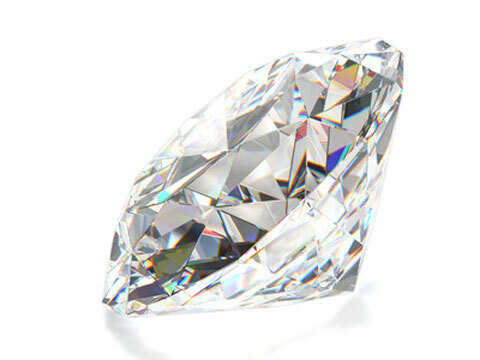 There are many benefits to obtaining your diamond needs online. One of them is selection. While physical stores are very limited by the actual space of their store, an online diamond store can have an endless selection. And the more choices that you have, the better able you are to find exactly what you are looking for, at the price that you want to pay. Prices will also be down, because in many cases, buying diamond online means buying wholesale and that always works in your favor. Another great advantage to buying gems and diamond online is the flexibility that you are given. You can have the diamonds shipped to any place that you wish or even to a jeweler in your area so that you can compare them to other diamonds in person. Now, let’s talk about what steps you need to take to safely purchase gems or diamond online. Before you make a purchase, it is a good idea to learn about diamonds. Perhaps you have heard of the four “C’s”? These stand for cut, color, carat and clarity which are the four most important elements in the quality of a diamond. You will then want to take advantage of what the Internet so easily allows you to do which is to compare prices. With a few clicks of your mouse you can easily compare one diamond to another and similar cuts and sized diamonds in regard to price. You can find great deals online if you look, there are not only sales, but wholesalers as well. To make sure that your purchase is done safely and that you are protected, you will want to check on the seller’s references and credentials. Do not be shy, go ahead and ask for and check credentials so that you know who you are dealing with. Be sure that you understand return policies, shipping costs and any possible taxes so that you will not have any surprises. It is also a good idea to read customer reviews if those are available on a certain website. Never just read one, reading several will give you a better overall idea of the experiences that people have had with that seller. Choosing stuff like rings online is time-saving. Just choose near in your place to get it as soon as possible. Thanks for information. Nice to read it. Very useful.